“Voices of the Jungle” is the result of the collaboration between Gerardo Frisina and Maurizio Bonizzoni, better known as Dj Skizo. It’s the story of an encounter between two jazz lovers and record collectors, two producers whose approach to music creation couldn’t have been more different: hailing from a tremendous hip hop background (he was one of the first turntablist and hip hop culture purveyor in Italy) and highly respected for his refined technique, Skizo is an important figure of italian underground music. Gerardo, whose contributions to italian jazz scene went far beyond Italy’s border, needs no introduction to Schema’s fans. The two producers met on the shared love for jazz and “real” music. Respecting this vision, the music we present here represents the producers’ ideal blend of electronic, music played by real musicians and a refined used of samples. After a prolific studio session where they started working on some ideas, the EP had been mixed and mastered at Schema’s Blue Spirit studio. “Voices Of The Jungle” recalls Gerardo’s trademark sound, a perfect mix of Afro-Cuban influences and 4/4 House rhythm ideally set in a true jungle where percussions, vocals and piano make you lose direction. “Orient” reflects a taste for exotic atmospheres, mystery and adventure. The mood is slightly melancholic and evocative, with a catchy groove. 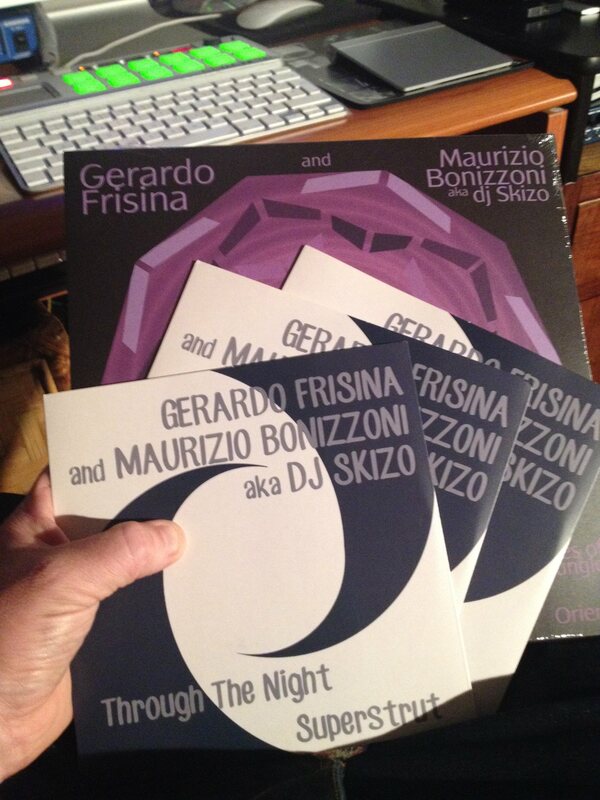 Gerardo Frisina and Maurizio Bonizzoni aka Dj Skizo join their forces again: after the debut of their collaboration last year, they are back with a new release, this time on 7-inch vinyl. Rich Jazz influences and rhythm characterise these tracks – on side A horns and electric piano play softly on a endless beat, a mid-tempo Jazz taking us into a journey “Through the Night”. Everybody knows “Superstrut”. Eumir Deodato’s classic gets new light with this cover: delicate but groovy, the main ingredient is the electric piano, delivering a tremendous jam on this ‘no guitar’ version.